10.2 Governors request federal funding for "clean coal"
In 2007, the Powder River Basin alone produced 436 million short tons (396 million tonnes) of coal, more than twice the production of second-place West Virginia, and more than the entire Appalachian region. Overall, the Powder River Basin accounts for about 37 percent of U.S. coal production. The Black Thunder Mine and the North Antelope Rochelle Mine are the most productive coal mines in the United States; in 2006 Black Thunder Mine alone produced 84 million metric tons of coal, more than any state except Wyoming, West Virginia, and Kentucky. Over a two month period, from May 2010 to July 2010, market prices for Powder River Basin coal had jumped from $11.50 to $14.50 per short ton. In November of 2009 the bank HSBC released a report entitled, "The Green Side of Black" that made estimates about coal's involvement in the future of the U.S. energy economy. In it, the bank reported that coal, even under cap-and-trade, will be a lucrative industry in the future. The author of the report also stated that Wyoming's Powder River Basin will be growing faster than other coal regions in the United States. The HSBC report stated that Arch Coal and Peabody Energy will be especially prosperous because of their extensive involvement in the Powder River Basin. The Powder River Basin coal beds are shaped like elongated bowls and as mines expand from east to west in the Powder River Basin, they will be going "down the sides of the bowl." As the stripping ratio (the ratio of rock that needs to be moved to get to a ton of coal) increases, coal becomes increasingly uneconomical to mine. For this reason, the amount of economically recoverable coal is far less than the total estimated resource of 800 billion US tons. Recent controversy surrounds the extensive coalbed methane (CBM) extraction in the region. In the last decade, nearly 7000 of these wells have been drilled. Extracting the gas requires water to be pumped to the surface in order to release the gas trapped in the coal seam. While some of the water is successfully utilized in agriculture production such as livestock water and crop irrigation, some waters are naturally high in salinity. This high salt content has raised concerns in Montana's Custer County where water from the Tongue River provides irrigation for local farming operations. State regulators believe this high salinity content is at least partially to blame on coalbed methane operations in Wyoming where millions of gallons of water is pumped from coal seams to bring gas to the surface. The water is then discharged back into the Tongue, Powder and Little Powder rivers, all of which drain into Montana from Wyoming. In an attempt to decrease the salinity of the water, the EPA has backed Montana's attempt to regulate salt content of the rivers. However, in October of 2009 U.S. District Judge Clarence Brimmer in Cheyenne, Wyoming ruled that the EPA failed to review scientific studies made by the natural gas industry. Brimmer wrote in his decision that Montana's water quality standards "were not based on sound science." As of late October 2009, the EPA had yet to decide if it would appeal the ruling. Many believe that this dispute, along with others stemming from Wyoming's CBM discharges and Montana's regulations, may well be the setting of the region's next big water war. Wyoming's CBM industry, as well as its large coal extraction economy, is booming. Over the course of the next two decades it is estimated that CBM firms will drill 77,000 new gas wells in addition to the already 30,000 existing wells. Most of these new wells will be located in Wyoming's portion of the Powder River Basin. Rail transportation and coal-fired power generation are heavily interdependent, with railroads accounting for 70 percent of coal shipments to power plants nationally, and coal accounting for about 20 percent of rail business. Alternative shipping methods include truck, barge, and conveyor. Truck shipping is considered uneconomical beyond 50 miles; barges are limited by the reach of navigable waterways, and thus is not an option in the Powder River Basin; conveyors only work in cases where the mine is adjacent to the plant. Transportation makes up most of the cost of PRB coal used in Eastern U.S. power plants. Because of the low cost of extraction, PRB coal would retail at the mine mouth for around $5 a ton. However, rail charges raise the cost paid by plants to $30 per ton or more. Originally a single track Burlington Northern Santa Fe (BNSF) line, it ran south from Donkey Junction, Wyoming in the north 13 miles to Caballo, Wyoming; and then for 103 miles to Shawnee, Wyoming. The Chicago and North Western Railway ran close to the northern section, as did the UP at Caballo. Having already formed the Western Railroad to distribute PRB coal, in 1982 C&NW and the UP formed Western Railroad Properties, Inc. (WRPI), to acquire half interest in BN coal line from Shawnee Junction to Coal Creek Jct. On December 15, 1986 WPRI purchased 11 miles more of BN line from Coal Creek Jct. to East Caballo Jct. Beginning June 27, 1983, WPRI constructed six miles of new railroad from Shawnee Jct. to Shawnee, rebuilt 45 miles of C&NW line from Shawnee to Crandall, Wyoming and converted 56 miles of new railroad from Crandall to Joyce, Nebraska. The first commercial train ran on August 16, 1984. UP acquired ownership of C&NW in April 1995. By 1985, single track for almost its entire length it was handling 19 million tons of coal - but implementation of the second stage of the Clean Air Act (1990) meant that demand for Western low-sulfur coal would rise quickly. The C&NW was struggling to be able financially to upgrade capacity to dual track, which resulted in numerous failures on the line in 1994, and C&NW's absorption by the UP in 1995. The UP spent $855 million over the next five years via the Project Yellow III from 1996, expanding capacity over its entire network to handle coal shipments from the PRB. By 2005 the Joint Line capacity had grown to handle an all-time record 325 million tons, and was either dual or three track capacity for its entire length. The 103 mile “Joint Line” in Wyoming, owned by the BNSF Railway and the Union Pacific Railroad, runs the length of the southern section of the PRB. It is the artery through which most Powder River Basin coal reaches the rest of the United States and is the busiest stretch of railroad in the world. The Joint Line handles over 60 loaded coal trains a day, each train more than a mile long. After it passes through the Joint Line, coal then travels over a handful of rail corridors to power plants. The Dakota, Minnesota and Eastern Railroad, has faced strong resistance from an unusual array of parties for its attempts to extend its rail line into the coal mining area - more so since its agreed purchase by the Canadian Pacific Railway. In the summer of 2009 the Dakota, Minnesota & Eastern Railroad began to abandon a massive rail expansion project in the Powder River Basin. The railroad project was set to expand the company's operations into the area to transport coal to regional coal-fired power plants. The economic downturn and rise in climate change awareness are noted as the reasons that led to the decision to back off the plan. Nonetheless, no decision has been made to permanently shelve the project. As a result of various trackage and locomotive failures on the Joint Line, in late 2004/early 2005 the line failed to deliver the amount of contracted coal supplies, and electricity rates increased by 15 percent. Coal customers threatened to look at alternate sources of energy and transportation, including the Arkansas Electric Cooperative Corporation. As a result, the 280 mile expansion of the DM&E was approved by the Surface Transportation Board, and in 2006 the Joint Line capacity was planned to be raised again via a $200 million investment to provide three track capacity for its entire length plus a fourth track added over the steepest sections, including Logan Hill. These improvements will enable the Joint Line to handle in excess of 400 million tons of coal. Presently more than eighty train loads of coal, which vary in size from 125 to 150 cars, are shipped from southern PRB mines each day. In 2006, Union Pacific set a record by hauling 194 million tons of coal — an 8 percent increase compared with 2005 tonnage. The company achieved this by increasing train size, with trains averaging more than 15,000 tons, a 200-ton weight increase compared with fourth-quarter 2005’s average. Demand for coal to generate electricity to produce steel in China and India has increased in recent years. Peabody Energy announced on October 20, 2009 that demand for coal in these countries will grow 7 to 8 percent annually over the course of the next five years. The company says that coal from Mongolia will supply China while coal from Australia will handle the increased Asian demand. Peabody president Richard Navarre noted that production at Peabody's mines in the Power River Basin will also help supply the growing market in China and India. 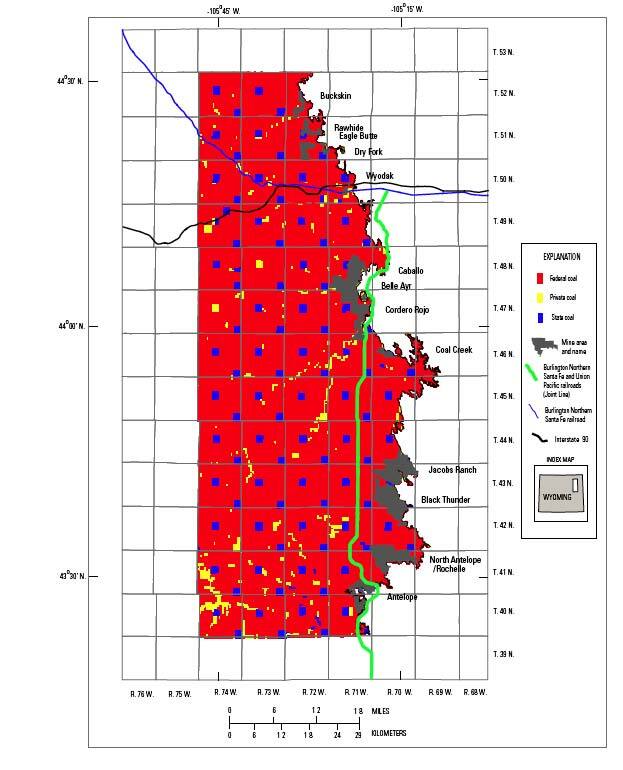 On November 12, 2009 Arch Coal (ACI) announced that they are leasing 9,600 acres in southeastern Montana's Powder River Basin. It is estimated that the property holds 731 million tons of coal reserves. The company will pay Great Northern Properties five annual installments of $73.1 million. On March 12, 2010 it was announced that Arch Coal purchased a 35 percent minority equity stake in the developing Trailblazer Energy Center. Arch stated that they will supply Trailblazer with its fuel needs for its first 20 years of operations. Coal burned in the plant will come from Arch's mines in the Powder River Basin. Arch believes that the plant will eventually utilize so-called "clean coal" technology. In 2009 Arch donated $1.5 million to the University of Wyoming for research on carbon sequestration. In late December, 2009, Montana Democratic Gov. Schweitzer, along with five other Democrats, voted to lease 610 million tons of coal over 9,500 acres near Ashland, Montana, known as Otter Creek coal, which will in part be paid for by Montana taxpayers. Critics of the deal believe that, "The main beneficiaries of leasing Otter Creek coal won't be coal miners or schools or the Northern Cheyenne or the residents of Powder River County. It will be coal speculators and the proposed Tongue River Railroad." On June 9, 2011 American Electric Power announced that the company planned to close 21 coal-fired electricity units. AEP purchases about 24 million tons of coal from the Powder River Basin each year, or more than a third of the coal used by the company. At least one of the power plants due to be partially closed, the Welsh Power Plant in Pittsburg, Texas, is entirely fueled by the basin’s coal, according to AEP. The Kammer Plant that is in Moundsville, W.V., another AEP power plant slated for closure, blends the basin’s coal into the mix it burns. As of June, 2011 it was unclear how the potential closures would affect the utility’s purchase of coal from the Powder River Basin, said AEP spokeswoman Melissa McHenry. Also in June 2012 it was announced that Cloud Peak Energy purchased Chevron and Consol's Powder River Basin (PRB) assets for $300-million. It was reported that "of the purchase price, $195-million was allocated to the lease of about 450-million tons of in-place coal and $105-million to the purchase and lease of 38 800 acres of land." As shown in the map below of the Gillette field, the core production area of the Powder River Basin, the Federal government is the primary owner of coal. Coal is provided to private mining companies via the federal coal leasing program. The mines in the Powder River Basin typically have less than 20 years of life remaining. Further mine expansions will require a series of federal and state approvals, as well as large investments in additional mine equipment and transportation options to begin the excavations. According to the report, the Bureau of Land Management (BLM) in 1990 “decertified” the Powder River Basin as a “coal production region,” allowing BLM to avoid following standard leasing procedures and enabling coal companies, rather than the federal government, to design lease boundaries that preclude competition. The report found that in the last 20 years, only three lease sales out of 21 had more than one bidder. The decertification also thwarts the BLM from doing a regional analysis of global warming impacts in the region from coal mining, and has blocked the agency from limiting coal leasing or otherwise adopting measures to address global warming. In February 2012 Millennium Bulk Terminals reapplied for permits for 44 million tons of coal from Wyoming and Montana. In December 2009 the state of Montana granted the the right to lease and mine its 616 million tons of coal reserves known as Otter Creek in the Powder River Basin. 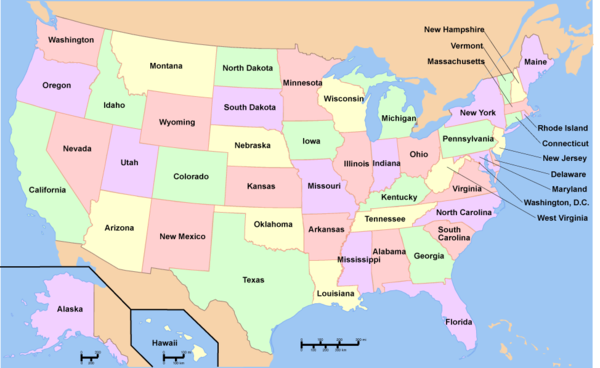 Montana received the reserves from the Federal Government at the beginning of the decade. Montana Governor Brian Schweitzer, a proponent of coal development, sits on the board along with other Montana officials. The bid package proposed by state officials included a rental fee of $3 per acre and an upfront payment of between 10 cents and 35 cents per ton of coal, which translates to approximately $57 million to $200 million. Developers would also pay the state a royalty of 12.5 percent of the mined coal's market value if mining begins. The Montana Land Board voted 4-1 in favor of leasing the mining rights to Otter Creek coal reserves. The board set the minimum bid at 25 cents per ton, which is two-and-a-half times the amount Arch Coal agreed to pay in November for the rights to develop 730 million tons of coal on adjacent, private lands. Coal companies have until February 8, 2010 to submit bids. On July 30, 2010, the Bureau of Land Management (BLM) announced that one of 11 federal coal leases pending approval south of Gillette, Wyoming, can be sold, despite strong opposition from environmental groups, who have yet to have their concerns about global warming impacts addressed. The Jim Bridger Mine in southwestern Wyoming is expanding its operations to approximately another 2,000 acres. The expansion includes new lease holdings on private land bordering the mine 35 miles northeast of Rock Springs. The mine, which provides coal to the adjacent Jim Bridger Steam Plant, is already the largest in Sweetwater County. The plant provides electricity to customers of Salt Lake City-based PacifiCorp and Idaho Power in Wyoming and five other Western states. The BLM will announce its decision on three more leases in separate upcoming decisions. The 11 leases total an estimated 4.5 billion tons of coal distributed between seven mines in the Powder River Basin and would guarantee the life of those mines for the next 20 to 30 years. The first lease, applied for in 2004, is for the Belle Ayr Mine. It covers 1,671 acres and the BLM estimates it contains about 221.7 million tons of mineable coal. The lease is estimated to provide enough reserves for Belle Ayr mine through the year 2030. Wyoming BLM state director Don Simpson wrote in his record of decision that it "is in the public interest" to offer the lease so the reserves are available to meet the EIA's projected national coal demand that is expected to exist until at least 2035. According to the BLM decision document, if Powder River Basin coal is not mined, it would most likely be replaced by coal from other domestic and international coal producers that would be "more costly, worse for the environment, and mined in places where coal mine reclamation may not be as successful." Since October 2009, the price for a one-month contract for Wyoming's Powder River Basin coal, which supplies about 45 percent of all US consumption, rose 67 percent to $13.80 a ton, according to coal broker Evolution Markets. Since 2000, demand for coal has been growing 5 percent annually, according to a study by Tudor, Pickering, Holt & Co. Securities, a Houston-based investment bank, helping drive coal prices up. Prices for Powder River Basin coal continued to grow in 2010, with spot prices for Powder River Basin coal topping more than $14 per ton in October 2010. The average spot price for 8,800 British thermal unit coal was about $13.40 in December, according to EIA, compared to $9 per ton in December 2009. On February 8, 2011, the U.S. Bureau of Land Management (BLM) denied a petition brought by WildEarth Guardians and the Sierra Club to change the process for selling access to the nation's most productive coal deposits. The groups contend that the coal from the tracts is enough to fuel 152 coal-fired power plants and would release 643 million tons of carbon dioxide, or the same amount as that released by 111.7 million passenger vehicles a year, using EPA calculations. ↑ E. Freme, Coal review, Mining Engineering, May 2007, p.52. ↑ "Coal News and Markets" U.S. Energy Information Association, accessed July 26, 2010. ↑ 16.0 16.1 "GreatPoint Energy announces coal supply partnership with Peabody Energy and enters into agreement to build natural gas manufacturing facilities in Powder River Basin", "GreatPoint Energy" press release, January 25, 2008. ↑ "Coal: Dig It Up, Move It, Burn It - Wyoming's Powder River Basin", The Way of the Land: Center for Land Use Interpretation newsletter, Spring 2005, Volume 28. ↑ UP History - Western Railroad Properties, Inc.
↑ Fritz R. Kahn, "Railroad Battle Brewing", HGHExperts.com, undated, accessed October 2009. ↑ Joel Kirkland, "Big Coal Carriers Navigate a Risky Climate Track", New York Times, September 16, 2009. ↑ Steve James, "Coal Demand Soars as Asia economies rebound", Reuters, October 20, 2009. ↑ "Land Board Says 'Yes' to Vast Coal Development ", Associated Press, New York Times, December 21, 2009. ↑ 41.0 41.1 [http://www.worc.org/userfiles/file/Coal/Exporting_Powder_River_Basin_Coal_Risks_and_Cost.pdf "Exporting Power River Basin Coal: Risks and Costs" Western Organization of Resource Councils (WORC), January 2011. ↑ James Luppens et al, Assessment of Coal Geology, Resources, and Reserves in the Gillette Coalfield, Powder River Basin, Wyoming, US Geological Survey, Open-File Report 2008-1202, 2008, Figure 63. ↑ 56.0 56.1 56.2 56.3 Jeremy Nichols, "Undermining the Climate" WildEarth Guardians report, November 23, 2009. ↑ Major U.S. Coal Mines, 2007. Energy Information Administration of the Department of Energy (September 2008). Retrieved on 2009-04-14. ↑ 61.0 61.1 61.2 Peabody Coal Operations. Peabody Energy website. Peabody Energy Corporation. Retrieved on 2009-04-20. ↑ 62.0 62.1 Arch Coal: Our Mines. Arch Coal website. Arch Coal. Retrieved on 2009-04-20. ↑ 64.0 64.1 64.2 Rio Tinto Energy America website. Rio Tinto Group (2009). Retrieved on 2009-04-16. ↑ 65.0 65.1 Foundation Coal Operations Overview. Foundation Coal website. Foundation Coal. Retrieved on 2009-04-20. ↑ Westmoreland Coal Company: Coal. Westmoreland Coal website. Westmoreland Coal Company. Retrieved on 2009-04-20. ↑ "Company Applies For Permit To Export Coal From Longview Port" Cassandra Profita, Oregon Public Broadcasting, February 24, 2012. ↑ 81.0 81.1 "Bulk cargo terminal planned in Washington state" Seattle Times, March 1, 2011. 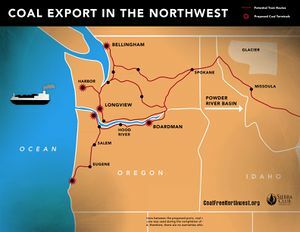 ↑ 85.0 85.1 "Port of St. Helens potential candidate for coal export to Asia" Scott Learn, The Oregonian, June 15, 2011. ↑ 103.0 103.1 103.2 Steve McNamanen, "BLM: 1 of 11 federal coal leases can be sold" Gillette News, July 31, 2010. ↑ 115.0 115.1 "All the President's (Coal) Men: Bill Gates, Warren Buffett and Obama's Wyoming Giveaway" HuffPo, March 28, 2011. ↑ 127.0 127.1 127.2 Peter Gartrell, "Environmental groups to sue US BLM, Interior over coal leases" Platts, accessed July 2010. Path of PRB Coal To The Nation’s Power Plants, Powder River Basin Council, accessed March 2012. Wikipedia also has an article on Powder River Basin. This article may use content from the Wikipedia article under the terms of the GFDL. This page was last edited on 18 March 2015, at 19:11.